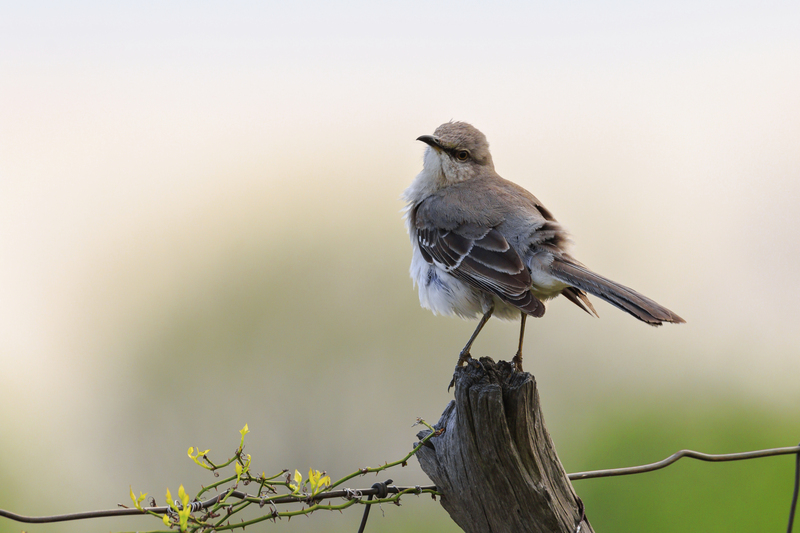 According to the Nashville Banner of April 16, 1933, the mockingbird, Mimus polyglottos, was selected on April 11, 1933 as the state bird of Tennessee in an election conducted by the Tennessee Ornithological Society. The choice was confirmed by Senate Joint Resolution 51, adopted by the 68th General Assembly in 1933. The mockingbird is akin to the brown thrasher and the catbird. It is ashen gray above, with darker, white-edged wings and whitish underside; its length, inclusive of the long tail, is about ten inches. One of the finest singers among North American birds, it possesses a melodious song of its own and is especially noted for its skill in mimicking the songs of other birds. 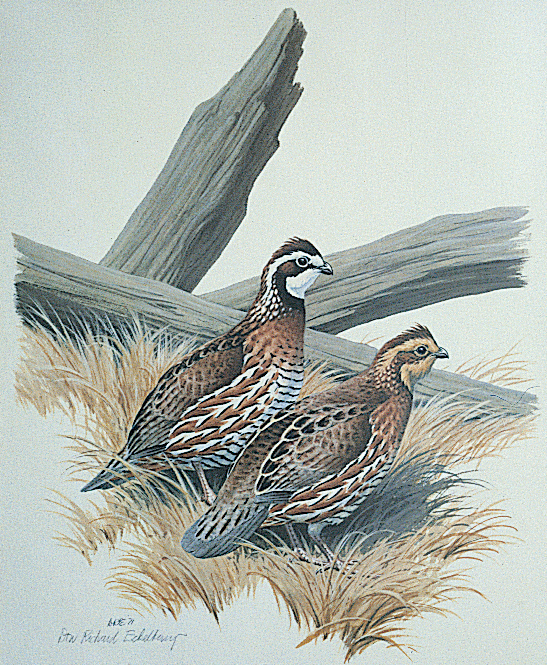 The bobwhite quail, Colinus virginianus, was designated the official state game bird in 1988 by Public Chapter 775 of the Acts of the 95th General Assembly. The bobwhite, also known as the partridge, is considered one of the finest game birds in the world. It is a short-tailed, chunky brown bird, usually eight to ten inches long. The male has a white throat and a white stripe above the eye, while the female has a buffy throat and eye stripe. In spring, the male’s clearly whistled “bob white” is answered by the female’s four-syllable whistle. This game bird lays from ten to twenty pure white eggs, more than almost any other bird.